Just a bunch of masters playing Just Jazz: Wardell Gray at the Gene Norman concert, offered below, on April 29, 1947. 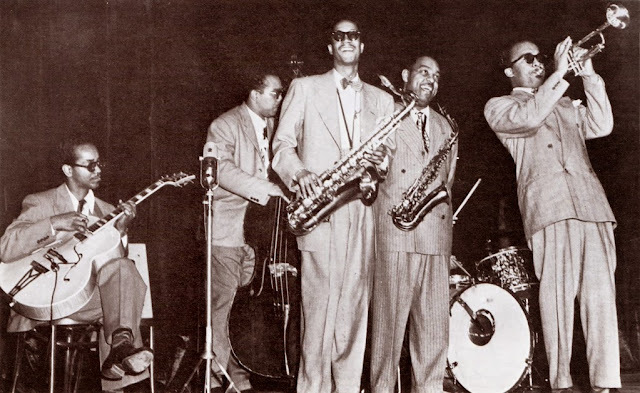 With him are, from left, Irving Ashby, Charlie Drayton, Benny Carter and Howard McGhee. Photo from "Black Beauty, White Heat"
Here's another sampling of from one those "other JATP concerts." It comes from two Gene Norman "Just Jazz" shows at the Pasadena Civic Auditorium and the Shrine Auditorium, one from April and the other from December of 1947. These selections – three of them, actually – feature the immortal Wardell Gray, one of my favorite tenor players and I assume one of yours, too. 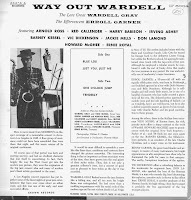 Wardell's on stage with the gents above plus Vic Dickenson, Benny Carter, Jackie Mills and Vido Musso for several of these tunes, but the showstopper is a feature for the tenorist with Erroll Garner at the keyboard on "Blue Lou." Gray's superb tone and cool control are on display throughout the six minute performance and his ease with melody and improvisation evoke Lester Young in modernist guise. 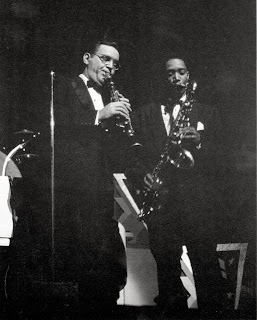 According to a very informative Wardell Gray website, Benny Goodman heard "Blue Lou" and was impressed enough to hire Gray for his band, saying, "If he's bop, that's great. He's wonderful!" Benny and sideman Wardell in 1948 or '49. We featured a Boris Rose bootleg of Goodman/Gray airchecks a while back, and I thought it was time to give Wardell his own posting. These concerts have been issued in many forms on numerous different LPs, and were initially released by the producer on his own label, GNP. The version here comes from a Crown reissue, but it also came out on Modern and United, and is not currently in print (as far as I can determine). The sound is very good, considering the recordings were made some 65 years ago. It's unfortunate that Wardell died in Las Vegas in 1955 just as the technology was shifting away from the 3-minute, 78-rpm format to long-playing microgroove records. One would have liked to hear him stretch out in the studio as he does on these concert recordings. As it was, he died mysteriously, either by accident or at the hands of gangsters, several months after his former employer, Charlie Parker, expired in Baroness Nica's New York apartment. Both Bird and Wardell were 34 at the time. 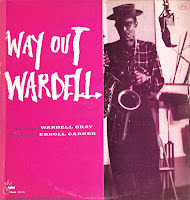 So here is some first-rate Wardell Gray, accompanied by several other giants of the music. The great Benny Carter is on alto, as fluid and suave as ever, and Howard McGhee crackles on trumpet, hitting all the highs and bursting with ideas. 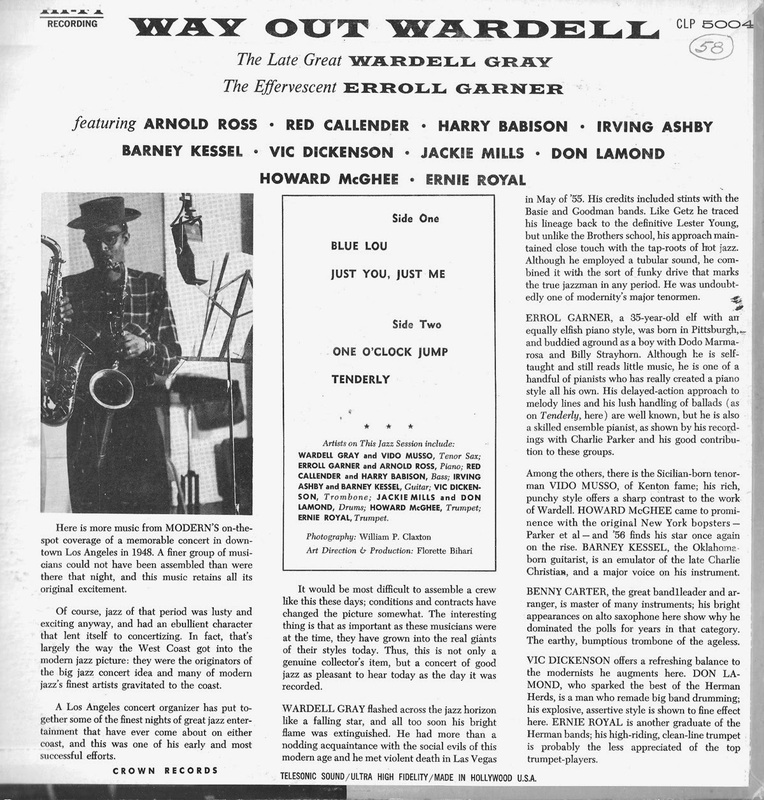 There's the Elf, too, Errol Garner, comping along and soloing in his distinctive style. "Tenderly" is all his, one of the very few times he ever recorded that tune, believe it or not. His performance sounds to my ears like a studio recording as no crowd is audible and it's a solo spot, but the authorities say it came from the Civic concert stage so I won't quibble. This record, by the way, is another from that cache that was found in an attic by my friend who cleans out houses for a living. That's why it's got the number "58" on it – all those sides were numbered for some reason by their original owner. The download comes from the original vinyl, as always, and required no cleaning of the sound at all. 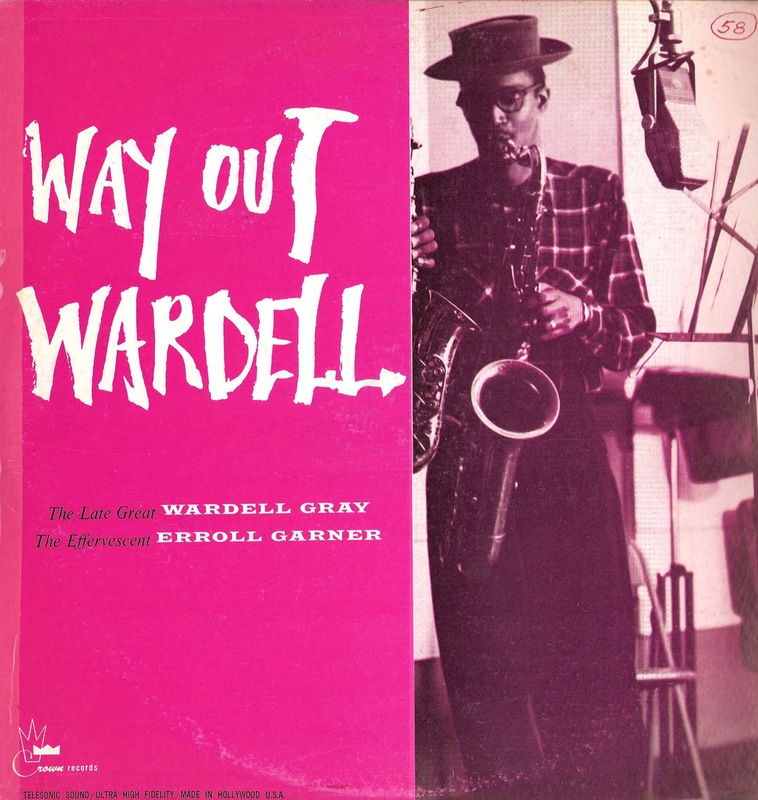 Wardell Gray, ts; Errol Garner, p; Irving Ashby, g; George “Red” Callender, b; Jackie Mills, d.
Howard McGhee, tp; Wardell Gray, Vido Musso, tp; Arnold Ross, p; Barney Kessel, g; Harry Babasin, b; Don Lamond, d.
Howard McGhee, tp; Vic Dickenson, tbn; Benny Carter, as; Wardell Gray, ts; Errol Garner, p; Irving Ashby, g; George “Red” Callender or Charles Drayton, b; Jackie Mills, d.
Another great post among a great stretch recently. Thank you David for this post and for the blog. I said it last year and I'll say it again, one of the things I'm thankful for this year is finding this blog and our online friendship that has developed from our mutual interest in the music. Thank you again and I hope you have a great Thanksgiving! You're too kind, JC. It's folks like yourself who make Gems a joy to do and a continual source of discovery and revelation. Plus it gives me an excuse to root around in the collection in search of, well, gems. Glad you're out there, brother, enjoying the music. It's to share, after all. Happy holidays! This is a beautiful copy of music I had only heard once before, very glad to have it. I have a friend who grew up in the South Central area who is bugging me for a fresh copy of "The Chase" and he will absolutely love hearing this. Thank you!